Mr. Lynch’s practice concentrates on commercial and business litigation, with a current focus on first-party insurance defense. He has represented clients in a wide variety of litigation, such as shareholder disputes, complex real estate disputes, construction litigation involving the renovation of a city-owned golf course, partnership disputes, civil rights litigation, and a judgment creditor dispute against the Republic of Congo. 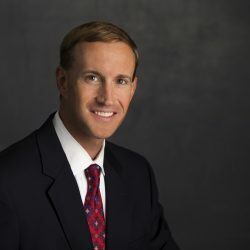 Mr. Lynch also has represented municipalities and counties in employment, land use, and civil rights matters, and defended well-known insurance companies in complex claims cases (particularly in long-term disability claim disputes, both ERISA and non-ERISA). Formerly a clerk for the Honorable Jorge A. Solis in the United States District Court for the Northern District of Texas, Mr. Lynch is well steeped in courtroom etiquette and has tried cases in state and federal court throughout Texas. He has briefed and argued appeals in Texas appellate courts as well as the Fifth Circuit. Mr. Lynch handles lawsuits from the start of litigation through the entire appellate process. Obtained a jury verdict in excess of $1.5 million on behalf of a large commercial landlord in a veil-piercing case against a well-known tenant. The Dallas Court of Appeals affirmed the verdict and, after receiving briefs on a petition for review, the Texas Supreme Court declined to grant the petition. Successfully represented a minority shareholder in a closely-held company dispute during a 12 day arbitration proceeding. The result was a recovery of more than $500,000.00. Successfully represented a licensing company in a federal court dispute over licensing royalties against a well-known clothing manufacturer. Secured summary judgment in the trial court, which was affirmed by the Fifth Circuit, resulting in the licensing company recovering several hundred thousand dollars. Mr. Lynch has successfully represented numerous insurance companies in a variety of lawsuits filed in state and federal courts in Texas, New Mexico, and other jurisdictions. During the past three years alone, he has resolved hundreds of insurance disputes either by way of settlement, summary judgment, or trial. Figari + Davenport is a limited liability partnership. Unless otherwise indicated, attorneys listed in this web site are not certified by the Texas Board of Legal Specialization.